In the early hours of Feb. 3, 2015, Gary Parsons is accused of engaging in an argument with his wife, 73-year-old Barbara Parsons, inside their home. The argument escalated to a physical altercation and the defendant is accused of throwing the victim onto their bed and strangling her until she was unresponsive. He is accused of tucking her into the bed and leaving the home in his car. 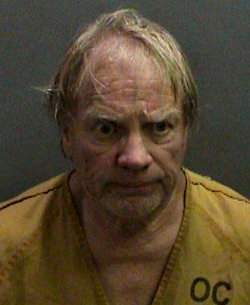 Gary Parsons is accused of calling a family member, who then called the Orange County Sheriff’s Department (OCSD) to report the crime. At approximately 12:30 p.m., OCSD received a call from the defendant and deputies arrived at the Mission Viejo home shortly thereafter. The defendant is accused of arriving home and parking in the driveway. After entering the home and finding Barbara Parsons deceased in her bed, OSCD deputies arrested the defendant.